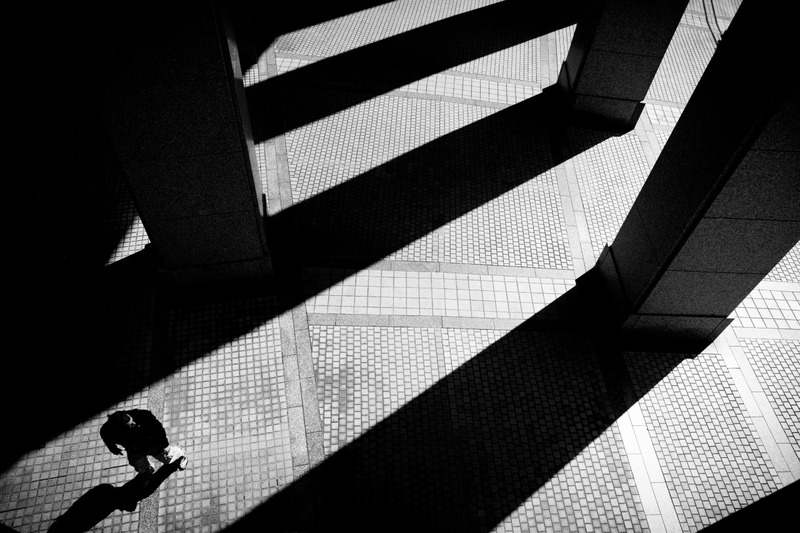 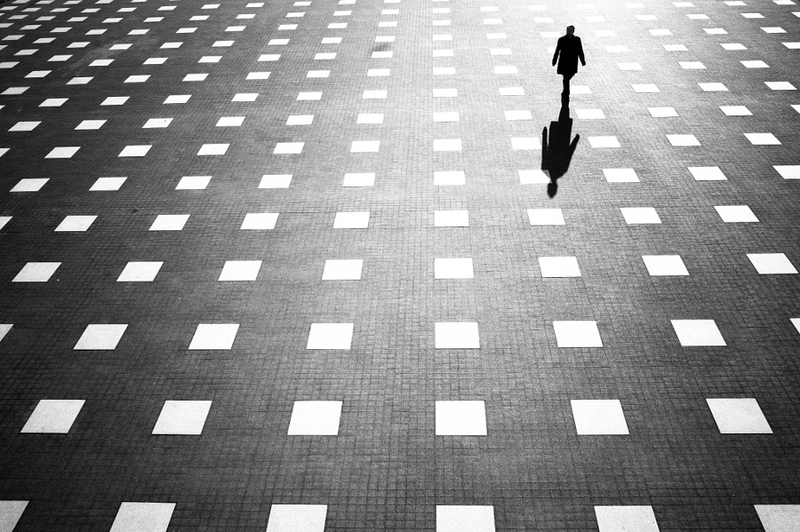 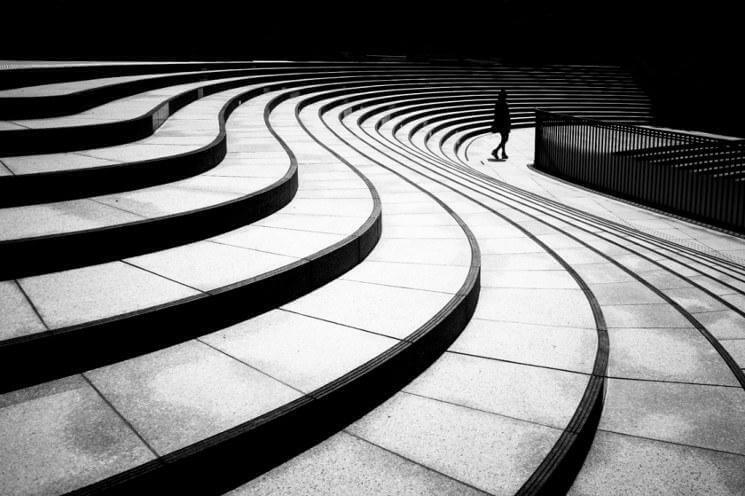 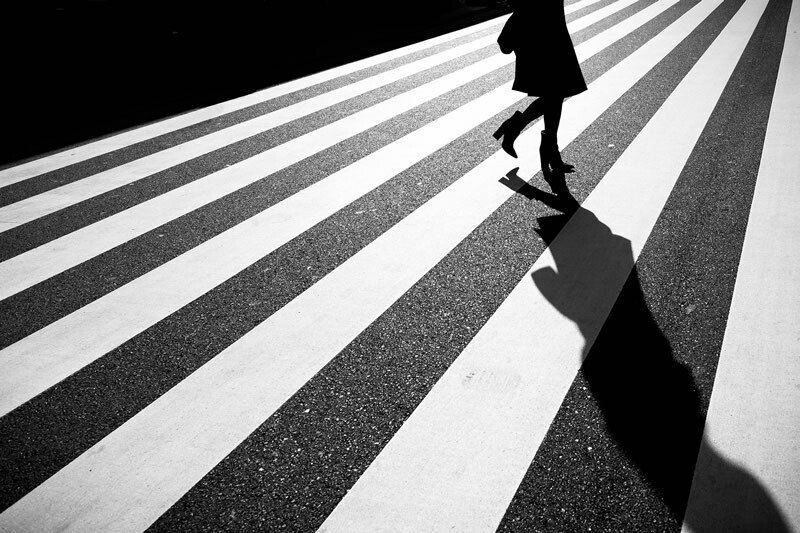 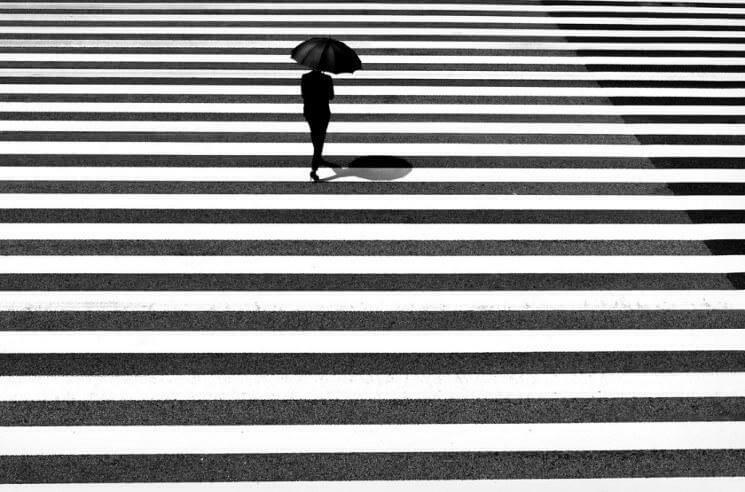 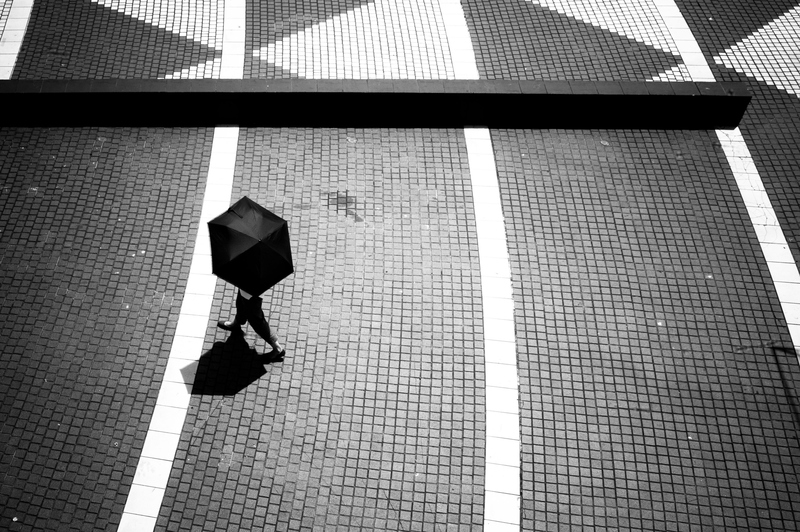 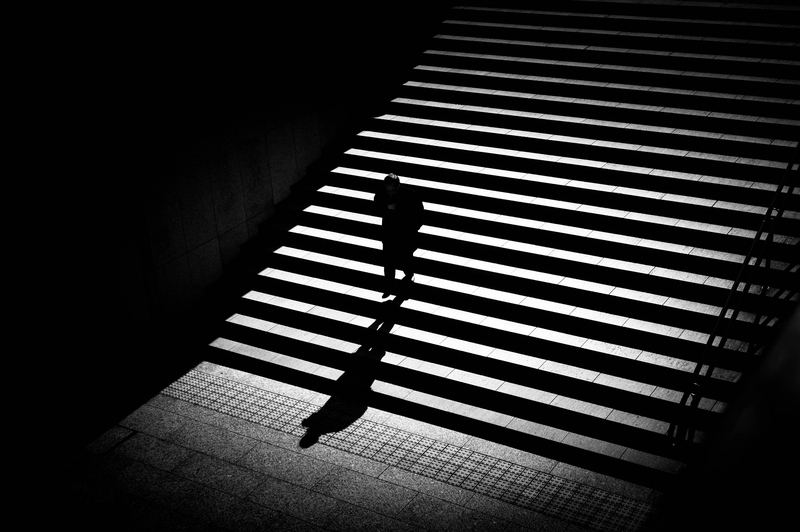 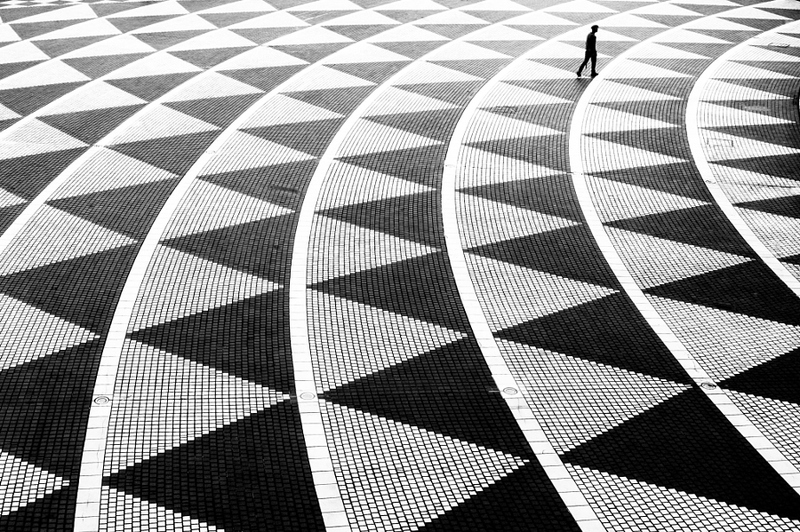 Japanese photographer Junichi Hakoyama explores the city’s geometrical lines through a subtle display of light and shadows. 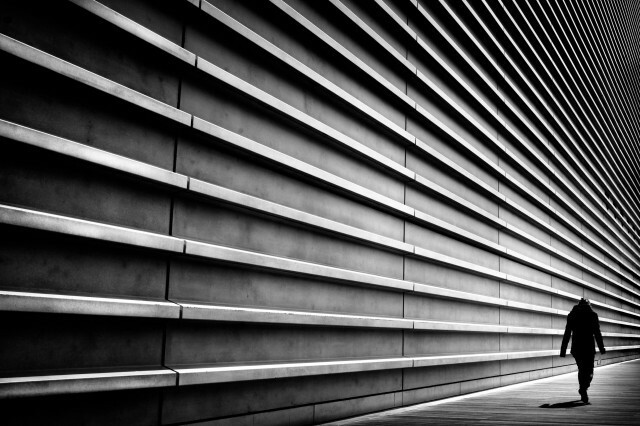 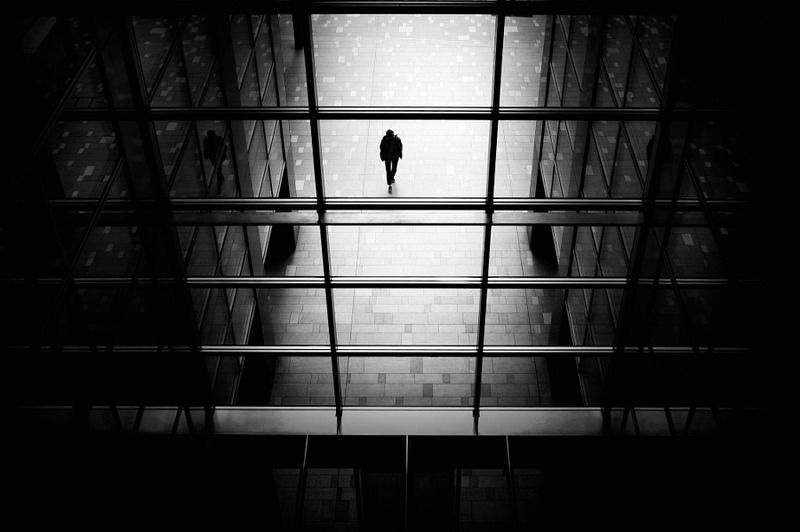 This high-contrast black and white architectural imagery seems inspired by film noir atmosphere : depth and intrigue through dark images with just one dark figure denoting a dramatic scene. 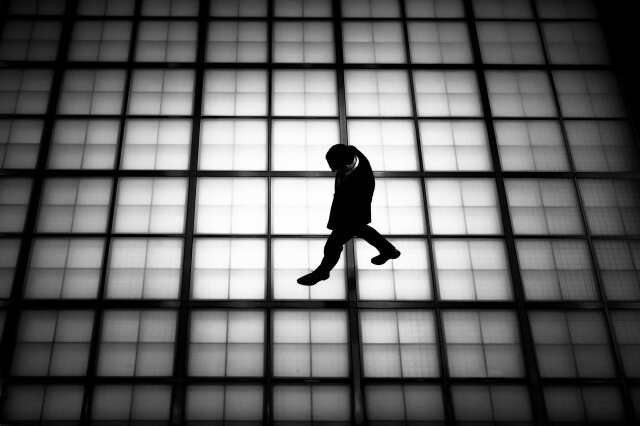 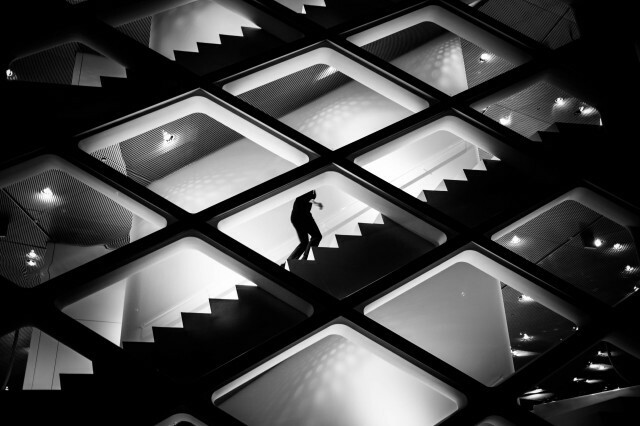 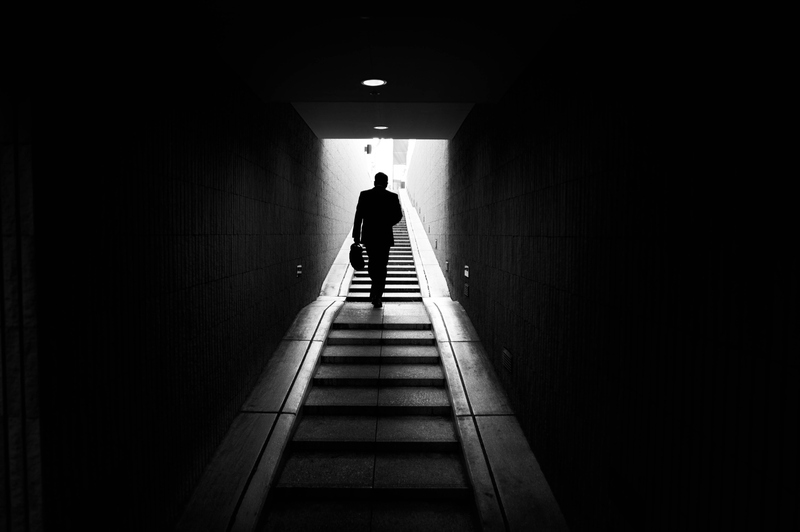 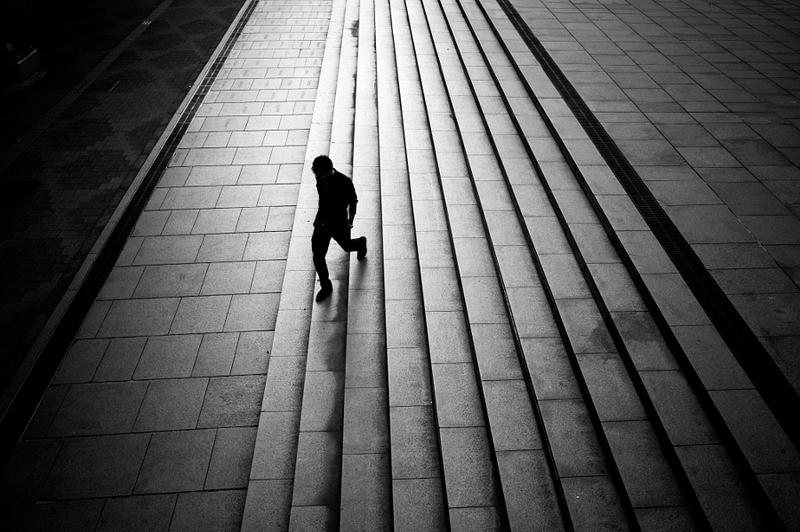 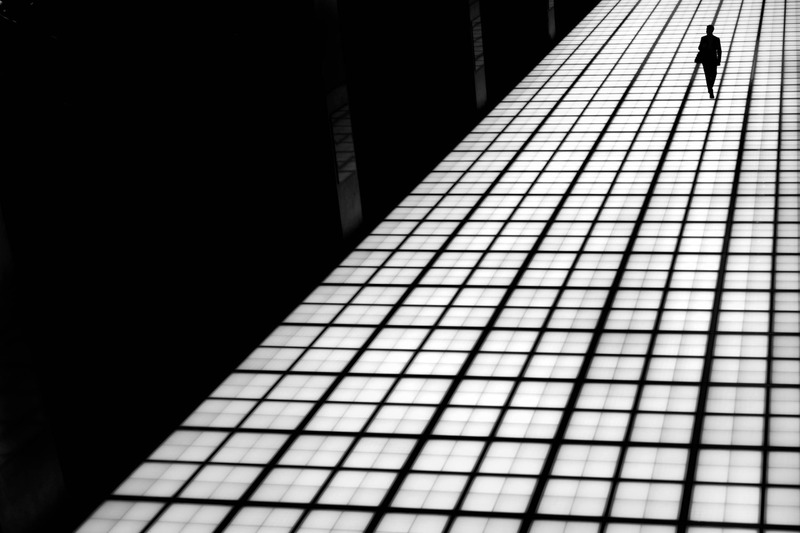 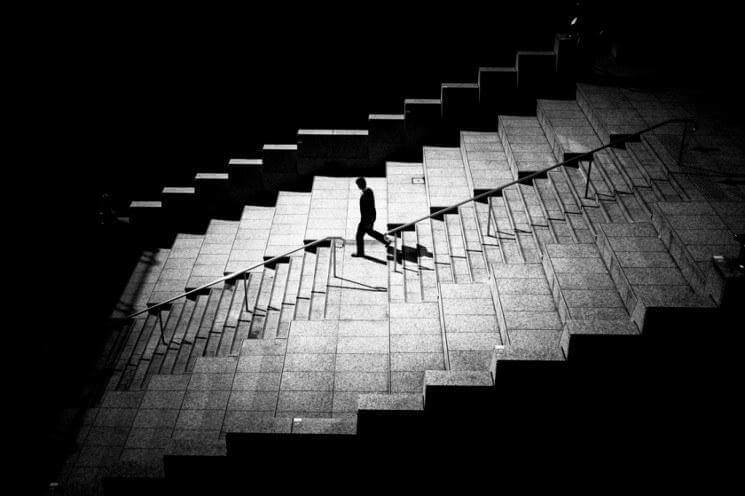 Junichi Hakoyama seems to find beauty in this minimalist darkness. 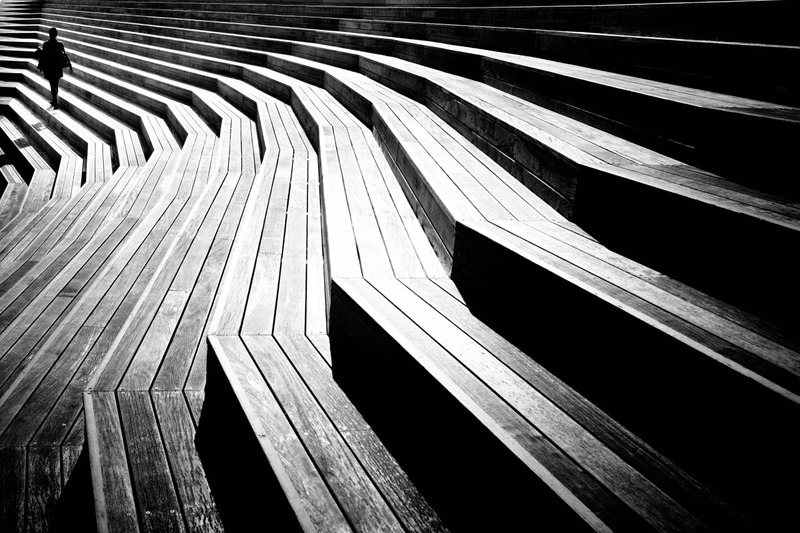 A simple crossing becomes an artful masterpiece, a seemingly boring staircase is transformed into a sculptural form. 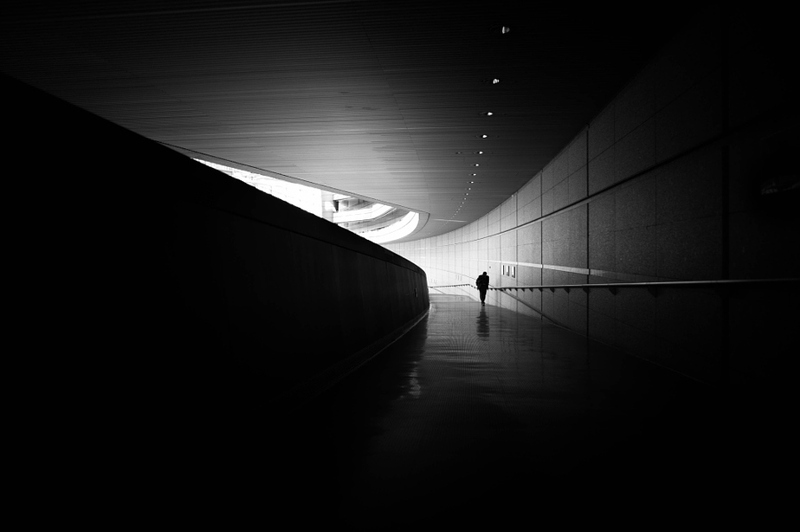 Light and shadows are the only companion of this solitary silhouette who looks like a moving scultpure walking somewhere in the frame.